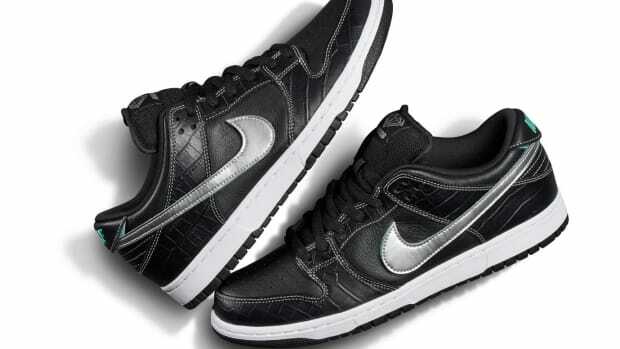 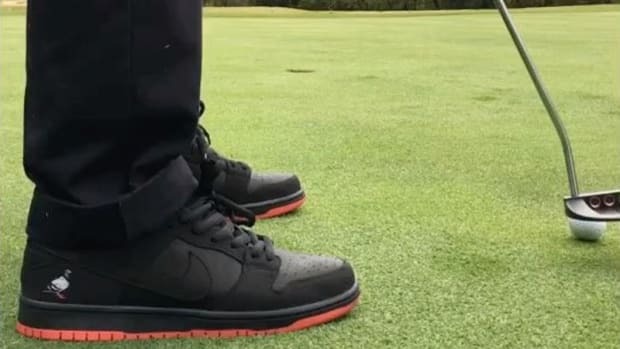 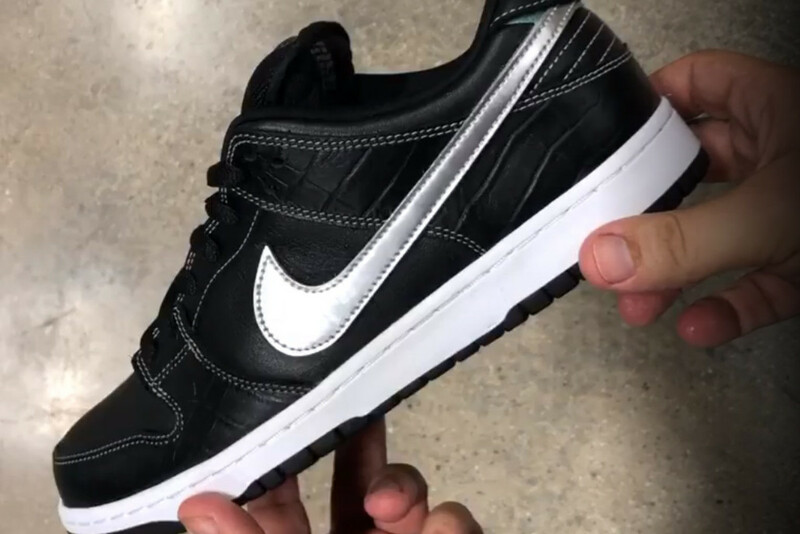 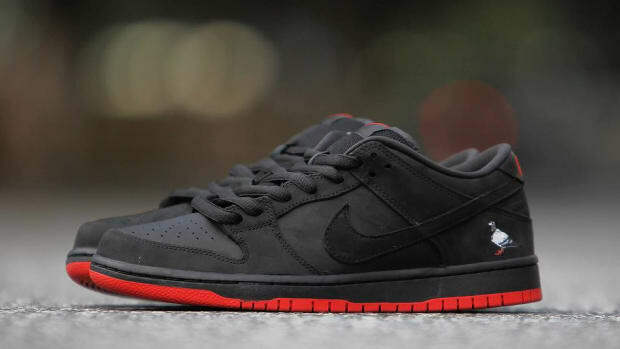 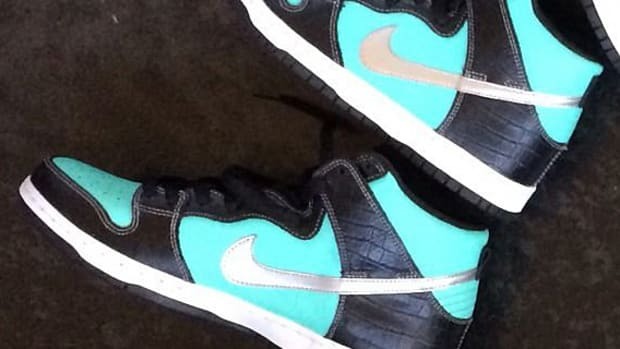 Back in September, Diamond Supply founder Nick Tershay took to Instagram to tease a new "Black Diamond" Dunk collaboration with Nike SB, a sequel to the brands&apos; original 2005 joint venture. 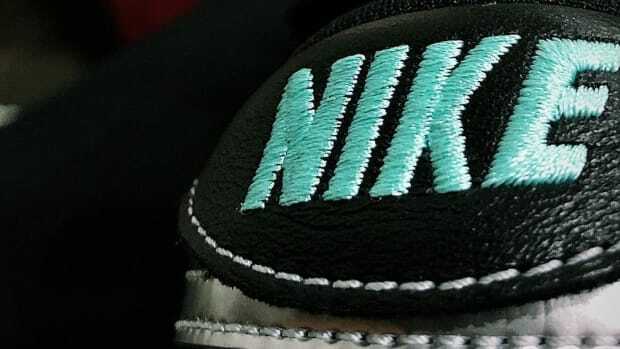 The upcoming release features a black leather upper with croc-textured overlays, accented with a removable metallic silver Swoosh that reveals aqua coloring underneath. 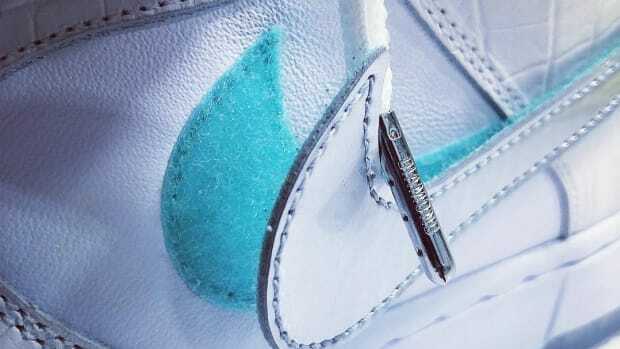 The Nike heel tab is also attached by Velcro, which can be flipped up to unveil Diamond branding underneath. 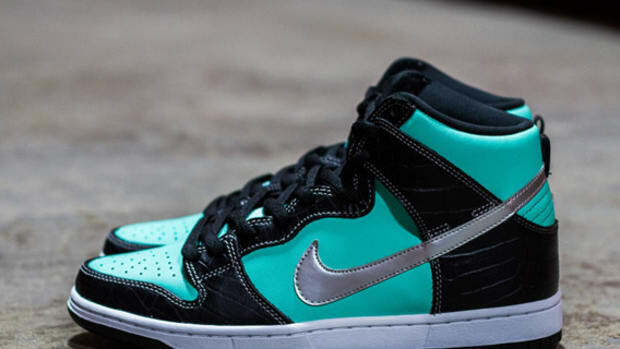 Stay tuned for word on a release date.